Tonight the Bulls are back home to take on the Cleveland Cavaliers in the fourth and final game of the season series between the two longtime Central Division rivals. Even though the Cavs won each of the earlier matchups, two ended up being tight battles, the last of which was a 115-112 Bulls loss in Cleveland on December 21st. There were 26 lead changes and 13 ties as four of the five Chicago starters scored in double figures, led by rookie Lauri Markkanen's 25 points. Chicago starting point guard Kris Dunn also posted a double-double of 10 points and 14 assists (career-high). LeBron James (34 points) and Kevin Love (27) were the only Cleveland starters to reach double digits in scoring. Tonight marks the end of a grueling two-week, six-game road trek for the Cavs — a trip that started with a five-point victory at Denver, but swiftly turned nightmarish after consecutive 14-point blowout losses to both the Clippers and Lakers. Cleveland then followed up with a victory over Phoenix, but then this past Thursday they came up short again (113-105) against a blistering hot Portland squad that has now won 11 in-a-row. The Cavaliers (39-29) currently sit 4th in the East, a half-game behind Indiana for 3rd, but also just a half-game ahead of Washington in 5th. Over their last 10 games they've gone 4-6, and thanks to Thursday's loss they now sport a losing road record (17-18). Needless to say, the Cavs certainly will be thrilled to get home after tonight's game, but having said that, don't be shocked if they come out flat against the Bulls (24-44), as oftentimes teams finishing long road trips get caught looking ahead instead of paying attention to what's directly in front of them. Any basketball fan who follows the NBA knows the Cavs underwent an amazing transformation at the trade deadline (Feb 8) last month. In just a matter of a couple of hours, GM Koby Altman shipped out Isaiah Thomas, Channing Frye, Jae Crowder, Derrick Rose, Dwyane Wade, Iman Shumpert and the team's 2018 first-round draft pick in return for Jordan Clarkson, Larry Nance Jr., George Hill, Rodney Hood, and a protected 2020 second-round draft pick. These new additions provide Cleveland with a ton of perimeter options. In the 14 games the new guys have played for the Wine & Gold (since February 11) Clarkson is averaging 13.4 points, Nance Jr. (11.6), Hill (10.1) and Hood (9.8). Combined, the quartet is providing the Cavs an impressive 45.4 points a game. But naturally when anyone brings up Cleveland the first player that comes to mind is four-time NBA MVP LeBron James. Against Portland the other night, James (35 points, 14 rebounds, 6 assists, 2 steals and 3 blocks) became the 6th active NBA player to record 400 career double-doubles. So far this season he has notched a whopping 41 double-doubles, just one shy of his career-high 42 achieved in 2016-17. In the three games against the Bulls this year, James is averaging 30.3 points on 58.6% (34-of-58) shooting, 53.3% (8-of-15) from 3-point range, 9.3 assists, 5.0 rebounds and 2.7 steals. Another Cav to keep close tabs on tonight is former Bulls wingman Kyle Korver, who ranks 4th in the NBA in 3-point shooting (43.9%). Over his last three games, Korver is shooting a combined 65.4% (17-of-26) from the field, 63.2% (12-of-19) from long distance and a perfect 7-of-7 from the charity stripe, while averaging 17.7 points and 3.3 rebounds over 33.3 minutes. The Bulls come into this evening looking to build some extra momentum after pulling out an exciting 111-110 road win over Memphis. Rookie Antonio Blakeney converted two of three free throw attempts with just 1.8 seconds remaining to give Chicago the one-point victory, and hand Memphis its 19th straight defeat. Zach LaVine led the Bulls in scoring with 20 points, while Bobby Portis added 17, followed by Denzel Valentine's 15. The 2nd year wing out of Michigan State connected on 5-of-7 from downtown. However, all the news wasn't good for Chicago as Markkanen was forced to miss his second straight game due to back spasms. As of this writing Markkanen is considered day-to-day, thus he may not take to the hardwood later this evening against the Cavs. In order to give themselves a shot of denying Cleveland a clean sweep of the season series the Bulls need to hit the floor running, and quickly establish themselves as the aggressors. Defensively, Chicago clearly has to step up its game. The Bulls have allowed 22 of their past 23 opponents to reach 100 points. Thus Chicago has to show up to work with a hardnosed attitude from the opening tip and be willing to fight for every rebound and loose ball. They have to crash the boards — at both ends of the court — and look to attack at every opportunity, especially before the defense has time to set up. Offensively the Bulls need to space the floor, stationing shooters all along the 3-point arc in order to force the Cavs to abandon the paint and cover a lot of ground. 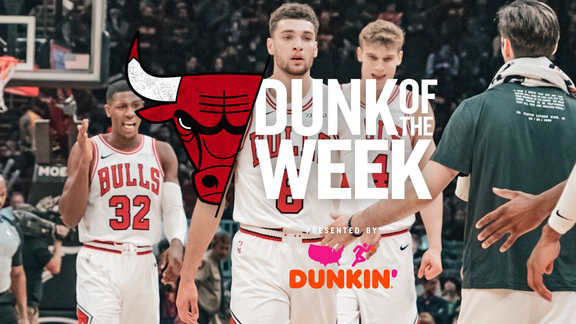 Chicago's playmakers, particularly point guards Kris Dunn and primary back up Cameron Payne, as well as starting wings Zach LaVine and David Nwaba, along with Denzel Valentine, must also set a fast pace and be willing to drive the ball hard to the rim so that they can get to the free throw line as often as possible in order to post easy scores. Obviously Chicago will also need to keep turnovers in check while pushing the ball up the floor and openly share it with each other, making it skip from player-to-player and jump from side-to-side. The Bulls' primary mission is to hit the Cavs hard and never back off. In order for them to create scoring opportunities, they have to get everyone involved in the action. To that end, the Bulls bench will need to bring their “A” game. Chicago's reserves have really been playing well of late. They've outscored their counterparts seven-straight times. Against Memphis the other night they notched a season-high 63 points while holding the Grizzlies to a season-low 18. On the year the Bulls' bench crew ranks 9th in the league in scoring (40.3) and 2nd in rebounding (18.7).